Now measure out from the right side to your mark and record the measurement in inches and sixteenths on your worksheet. Add that amount to 20 inches. This is your top width measurement. 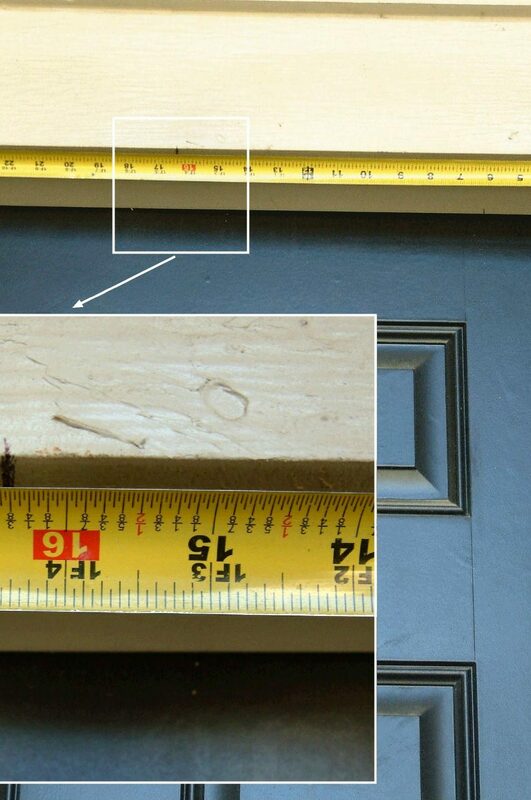 In the example shown here the measurement from the right side to the mark is 16 3/8 inches. 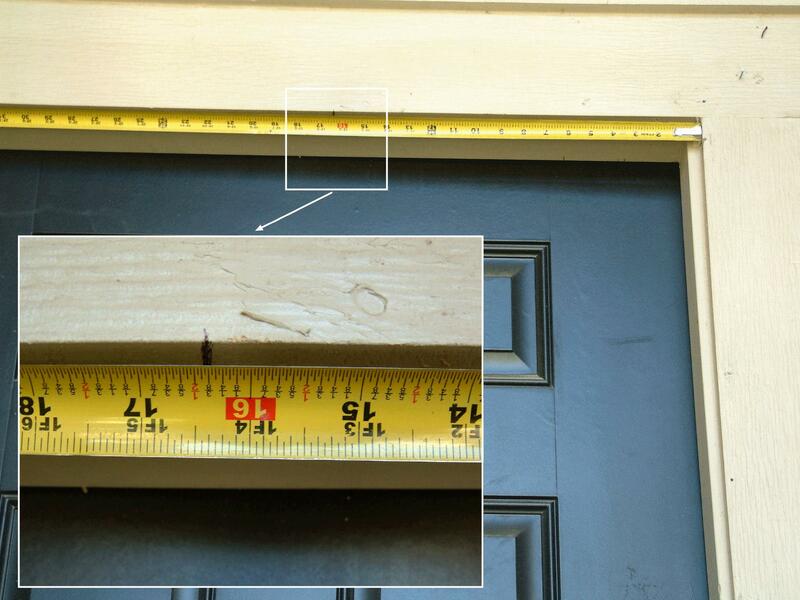 That added to 20, 36 3/8 inches, is the top width measurement for this door.